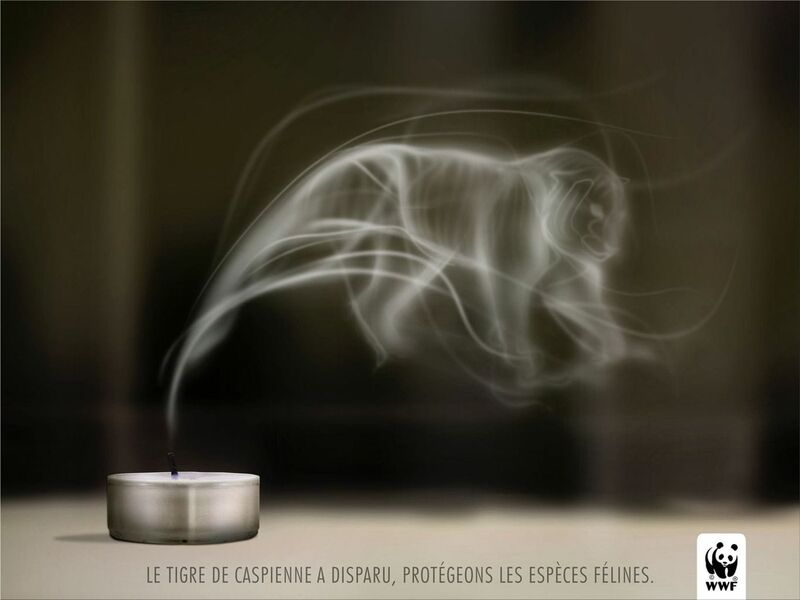 "The Caspian Tiger has disappeared, protect feline species. 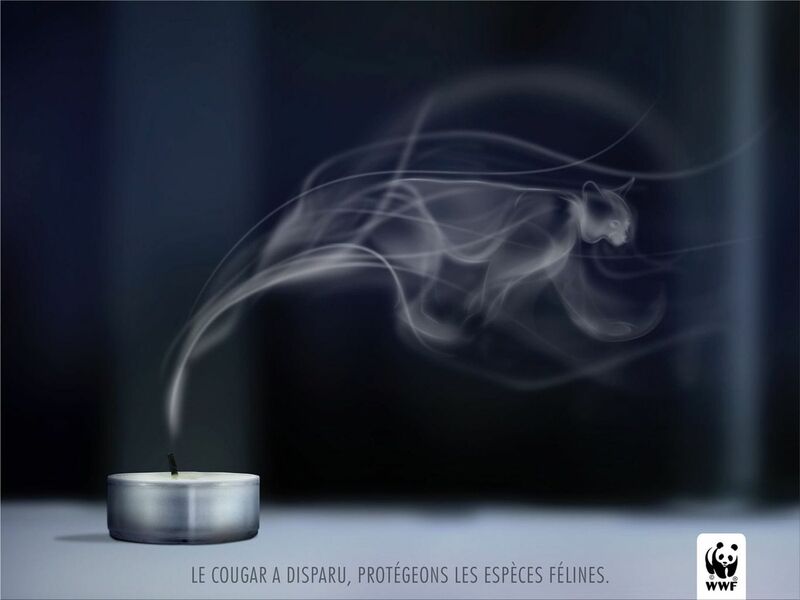 The Cougar has disappeared, protect feline species. 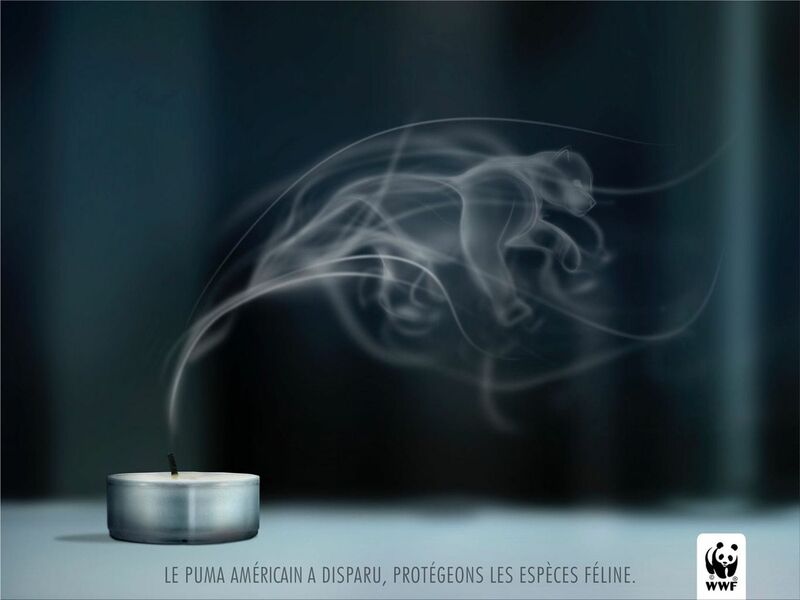 The American Puma has disappeared, protect feline species." Newer:Chevrolet: The blind spot is no longer blind. WWF: Tiger! Download "Tiger Alarm!"